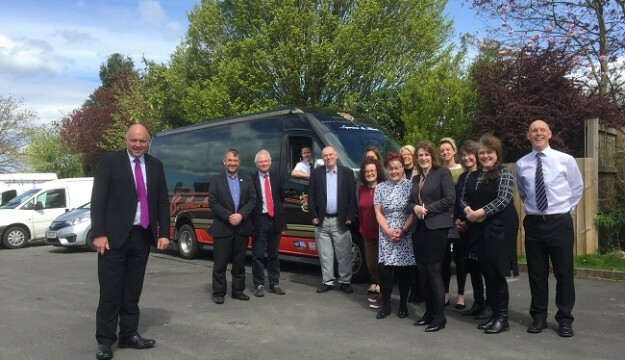 Tourism businesses in one of the UK’s hidden gem destinations came together this week to plan for lots more coach parties. Ribble Valley in Lancashire has a superb collection of top class coach-stop attractions, quaint market towns, excellent accommodation and stunning scenic tour routes. The businesses met at the Foxfields Hotel to look at ways to provide an even better service for group visitors. The event was coordinated by UK group travel specialists Steve Reed Tourism from Hampshire working in conjunction with Visit Ribble Valley. Attendees on the day read like a who’s-who of Lancashire tourism including James Places [hotel and visitor attractions]; Whalley Abbey; The Spread Eagle in Sawley; Melt candle-makers; Browsholme Hall; Waddow Hall; Clitheroe Castle Museum; David Johns Tour Guide and Brethertons Goldline Coaches. ‘It was great to get some of our top providers get together for this special group travel planning session. Everyone contributed to what turned out to be a super and worthwhile day – an event which sets the scene for lots more group bookings for Ribble Valley,’ says Tom.